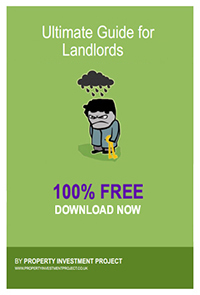 Landlord Hot Deals & Offers! Exclusive Discounts! Aimlessly blogging about landlord life since 1879. No nonsense! *5 day free trial, then option of continuing service for 3 months - which is £24 (Inc VAT) for new customers, and £29 (Inc VAT) for returning customers! PriceFREE*Inc VATNo hidden fees, no credit card details required! Will ensure you've met your landlord legal obligations. I’ve been using and recommending QuoteSearcher to access some of the most competitive BTL/landlord Insurance Quotes on the market for a couple of years now. They’ve always managed to connect me with awesome deals- last time I saved a couple of hundred pounds. I’ve also received many emails from other landlords telling me the same thing! I’ve started to get inundated with enquiries from landlords requiring assistance with problematic tenants, so I reached out to one of the leading tenant eviction specialists in the country, LegalforLandlords- they have agreed to give Property Investment Project followers free legal advice and special discounted rates! Our legal services can help you avoid the expense of solicitors’ fees. PIP landlords can access some of our key services FREE of CHARGE or at special discounted rates. A fast credit check (1 working day on average) that will provide essential information about your tenants, including: credit check, bankruptcy data, residency & address confirmation, electoral roll checks etc. Full Reference: provides a more detailed picture of your tenants’ suitability (£12.50 with 50% discount code PIPFULLTR18, normal price £24.99). So, I went and did it. I poured my heart and soul into writing an eBook (with 28 chapters), which covers everything I wish I knew before becoming a landlord. Even to this day, I’m constantly updating the book as I learn new tips and tricks, so it’s even useful for seasoned and experienced landlords. I know, it’s quite ballsy of me to throw this into the “hot deals” section… but considering it contains information that others’ charge for, and it’s received pretty good feedback (after 20k+ downloads), I thought why not.